Hi, my name is Celine and I am one of the scientists working on Breathing Together project at Monash University very far away in Australia! I am interested in the little microscopic bugs that are living in your nose: it’s called the microbiome. These bugs are so small that you cannot see them but scientists estimate that we have about 100 trillion of them in and on us (that is a lot!). While some of these bugs can make us really sick, a lot of them actually help us keeping healthy on a daily basis. For example, they can help us digest food, protect against harmful bacteria or even train our immune system to know what to attack or not! It is very important for your immune system to know how and when to respond to something. It can make mistakes and create an allergic reaction, which can make it hard to breath (what doctors call asthma). What is really exciting about the microbiome is that we are constantly exchanging microbes with the environment and other people and this can potentially prevent you from being sick. What you eat, where you live and whether you have a dog can actually change your microbiome! To discover what bugs live in your nose we extract their DNA in our laboratory. DNA is a very long and thin molecule that determines all the characteristics of a living thing. 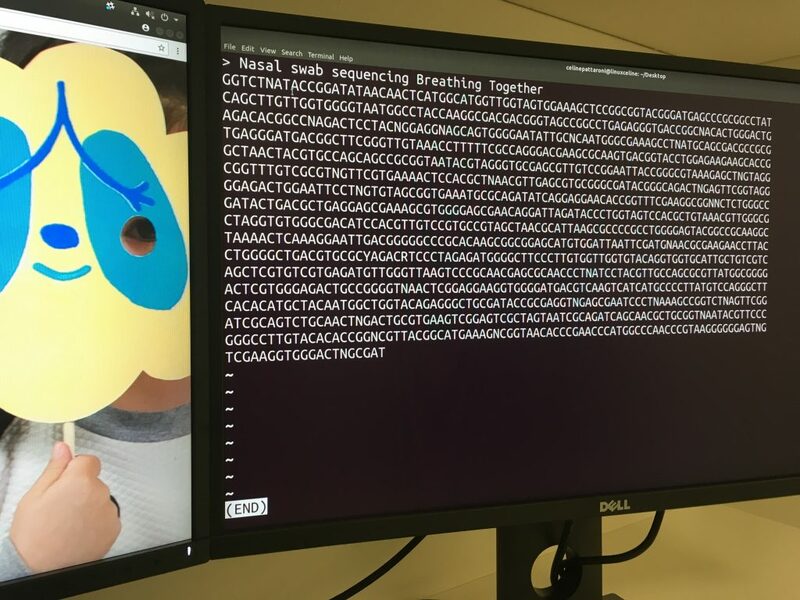 It is written in a special code made of four letters A, T, G, C. You and the microbes on and in your body all have a different DNA code, this is how we know which bugs are inhabiting your nose!